Undemocratic voting systems in local council elections are not limited to the City of Sydney. Imagine, for a minute, an undemocratic political system. Imagine a voting system in which someone has more votes than you because they own property. Or a voting system in which corporations have a vote – and maybe even more votes than regular people. A voting system in which, as a result, the power of your vote could be diluted by votes cast on behalf of corporations. This voting system isn’t something from Britain during the Industrial Revolution, or America’s Deep South in the 1950s. Instead, as my recent paper outlines, this way of voting is a reality at local council elections in five of Australia’s six states. 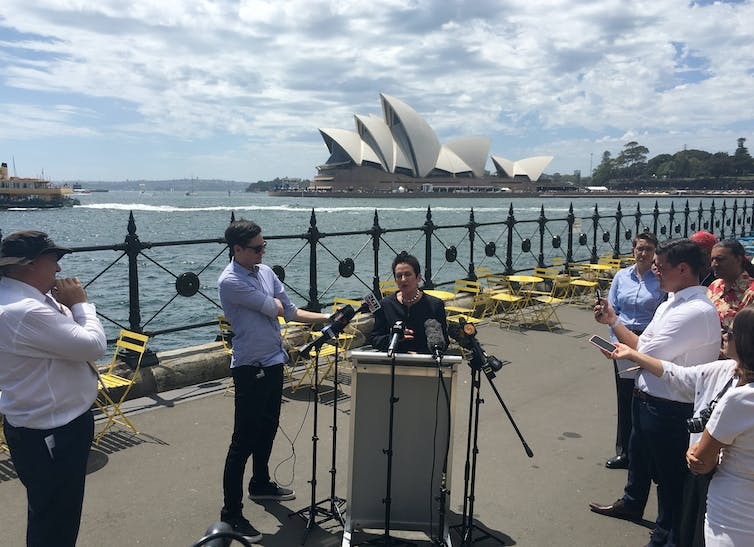 In recent years journalists have often discussed voting rights in the City of Sydney, which gets attention because of the high profile of its council and because of its unusual voting laws. Not only do property-owning corporations get two votes in the City of Sydney, but voting is compulsory for them. But this type of undemocratic voting isn’t confined to the City of Sydney. It’s not even confined to New South Wales. In every state except Queensland voting rights at local council elections include voting rights based on owning or leasing property, votes for corporations, and various forms of plural voting (ways in which one person can have more than one vote). In other contexts, Australia’s most senior judges have described plural voting or property-based voting rights as “conspicuously undemocratic” and “anachronistic”, and said that such systems would be unconstitutional if done at federal elections. Such a system enshrines inequality by giving some people more of a say than others. These days our local councils perform a wide range of government functions. If we don’t accept undemocratic voting rights at state or federal elections, we shouldn’t accept them for local council elections. We must recognise that local government is a form of government which affects every citizen within the particular local authority area; and I believe that all governing bodies should be elected on the broad franchise of one adult one vote. Probably Australia has led the world in connection with the adoption of that principle. Surely what Queensland recognised in 1920 can be recognised in the other states in 2017. And so, as my paper explains, in Queensland today you get to vote at local council elections if you can vote at state and federal elections. It’s that simple. Essentially, this means you only get to vote for the local council that runs the area you live in, you only get to vote once, and there are no special voting rights for corporations or property owners. It’s the same at council elections in the Northern Territory. Queensland hasn’t always been the torchbearer for Australian democracy. But at least voting rights at Queensland local government elections are designed to reflect basic democratic principles. The other five Australian states have different ways of deciding who gets voting rights at local council elections. British and Australian history has shaped these voting systems, and the relevant laws have often evolved slowly over time. In some states, for example, non-citizens can vote if they are resident in the area; in other states residents must be citizens to vote. In some states, voting is compulsory at local council elections; in others it is voluntary or compulsory only for some voters. The detail of the laws is complex. Nevertheless, there are some rules common to many of the problematic laws in these five states. Being enrolled on the state or federal electoral roll in a local government area will generally entitle you to vote at council elections in that area. Owning or occupying property in a council area will generally entitle the owner or occupier to vote in that area, especially if the owner or occupier is not also a resident. This also means that, where the owner or occupier is a corporation, the legislation will provide a process by which someone can vote on behalf of the corporation. Where someone owns or occupies multiple properties in a particular council area, or where they live in an area and also own or occupy another property in the area, the law will provide some sort of limit on the number of votes available to that person. The complex provisions underpinning these voting rights stand in stark contrast to the simple terms of the Queensland law. But while they are complex, their result is clear. In different ways, as the paper shows, these laws allow for voting rights based on property ownership or occupation, voting rights for corporations, and allow individual people to cast multiple votes. All of this dilutes the voting power of individuals, and runs the risk that local governments may become distracted from what is in the interests of their local community. These laws are quirks of history that have no place in Australia’s 21st-century democracy. So what should be done? Fixing the laws that govern local council elections is the responsibility of the states. From time to time, state governments and state parliaments consider the possibility of making local council voting rights more democratic. The good news is that there’s an easy way to make the change: NSW, Victoria, Western Australia, South Australia and Tasmania can simply follow Queensland’s lead. It’s time for state parliaments to act.